Braham and Murray Natural Hemp Protein Powder Strawberry uses 100% pure hemp protein powder with natural strawberry flavouring so you can have a dairy-free plant protein with a sweeter taste. UK hemp experts Braham and Murray grow and make their protein powders at their farm in Devon, using only a natural plant based source (hemp). Designed to support an athletic lifestyle, Braham and Murray Hemp Protein Powder is the all-natural, dairy-free choice of protein for shakes, smoothies and any protein baking recipe. 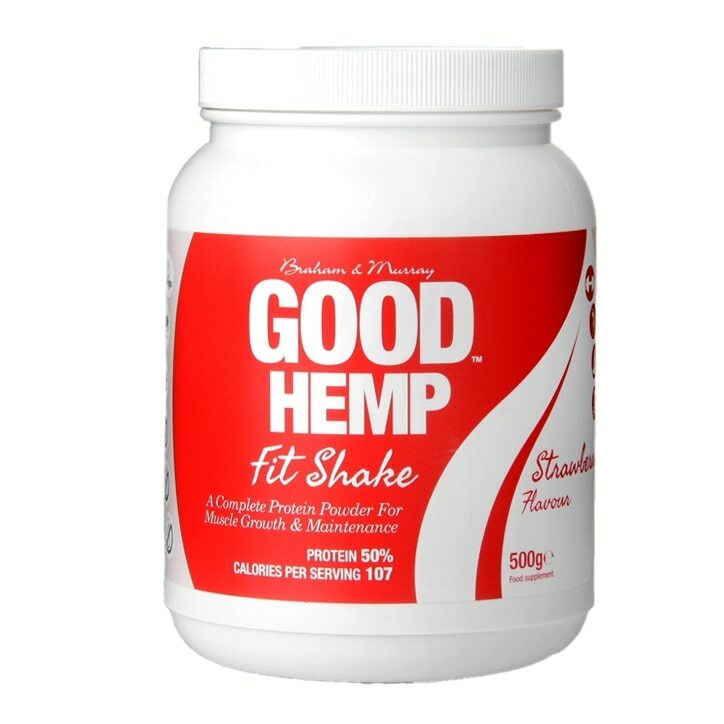 100% hemp protein, 30g contains 14g of protein, omega 3 and is high in fibre. Natural Hemp Protein, Natural flavouring (Strawberry), Xanthan Gum, Natural Sweetener (STEVIA), Green Tea. Braham And Murray Natural Hemp Protein Powder Strawberry is rated 3.4 out of 5 by 20. Rated 1 out of 5 by Newbold from Disgusting! I can't believe this company allowed this on shelfs to sell brought this because I thought it would taste nice. It really doesn't all I can taste is bitterness. There is no flavour of Strawberry jus the smell. The colour and the way it mixes is disgusting. I can only have this with milk as with a smoothie the taste is horrible. Holland and Barrett should have a taste test before you buy protein powders. Rated 1 out of 5 by CJones1234 from Revolting taste and consistency I really had high hopes for this after reading the great reviews, the good price and nutritional info, but got quite a shock when I actually bought it. It tastes awful and the consistency is really gritty. I made it with water and soya milk but couldn’t finish it. Not ready to give up on it just yet, I tried mixing half a scoop with my yoghurt and muesli for breakfast. Again it just tasted revolting, I managed 2 spoonful’s before having to throw it away. I’ve since tried a pea protein which I find more tolerable. Would not recommend. Rated 5 out of 5 by steph007 from Great product Always buy this as great to take before an early morning exercise class. Rated 1 out of 5 by Harriet77 from Tastes horrible! Although it seems a good price compared to other protein powders, this one tastes like dirt mixed with cardboard. I tried mixing it with fruits in a smoothie as well as almond milk and just on its own in water but I couldn't get rid of the horrible taste.